Construct a seamless business process model by automating front-end and back-end workflows. Add users, locations, and products on the fly. 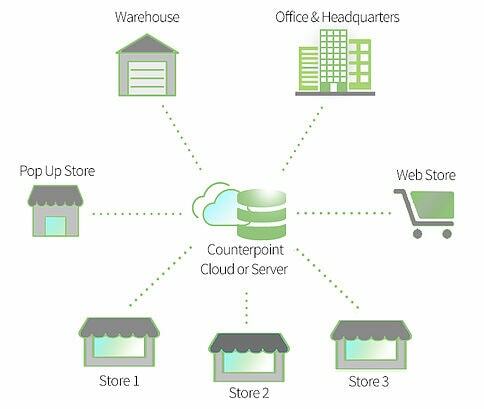 NCR Counterpoint is built to scale with your business as it grows. View all activities, sales, inventory, and customer data from all store locations in real time. Centrally manage prices and products, stock levels, tax rates, customers, employees, and reporting across all your stores, and warehouse operations painlessly. Manage data centrally or locally or both, all controlled via security and configuration settings. 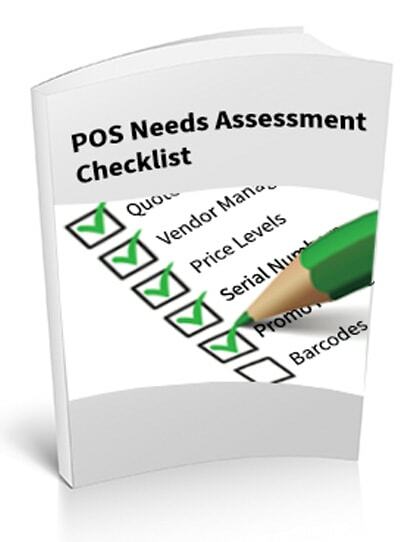 The POS system is an effective tool when several retail stores have sales, inventory and customer data that needs to be aggregated to a corporate location. Provide a superior in-store and online experience with a modern POS that enables you to satisfy omnichannel shoppers and build customer loyalty. Use a wide range of variables and filters to understand what is happening across all store locations, at any time. Identify problem areas that require immediate action or opportunities for growth. Each store runs independently even if the internet is down. The system will automatically synchronize store data with HQ server when the connection is restored. Manage inventory levels across stores, analyze merchandise analysis report across all stores, and utilize transfer advice report to send products other stores where they sell best. A year ago, our company switched from Microsoft Dynamics to NCR Counterpoint with the help of the staff at POS Highway. Admittedly, we were nervous. Who wouldn’t be when switching over POS systems? There’s a lot to learn and prepare for. We found the transition process to be smoother than we ever could have expected, and that is in part thanks to the intuitiveness of Counterpoint, but mainly due to the excellent preparation, training, and support from the staff at POS Highway. NCR Counterpoint Cloud is the perfect point of sale solution for us, packed with robust features every liquor and tobacco store owner dreams of. Now my stores are managed centrally by one system, connecting the inventory and physical counts across all locations. This ensures my associates know exactly what is in stock and is able to meet our customers’ expectations. I have found little that this point of sale can’t do for standard SKU’s. I can report on anything. I can compare dates on sales from this year and last year within seconds. Searching for data is a breeze! I can find out anything. ATF loves me. Making data-driven business decisions is a snap.